Northpoint Kids 100% Cotton Animal Character Towels Just $8.99! Ships FREE! You are here: Home / Great Deals / Northpoint Kids 100% Cotton Animal Character Towels Just $8.99! Ships FREE! These are so cute and the kids will love them! 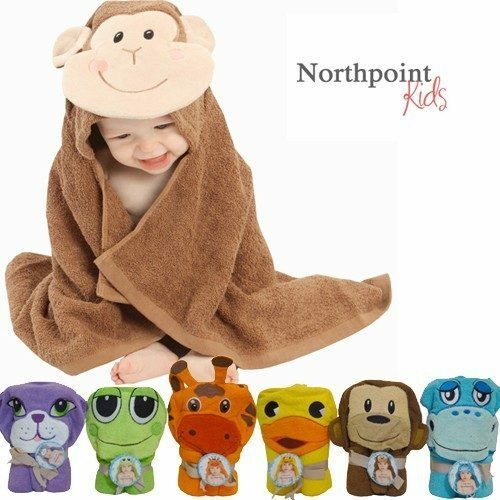 Order the Northpoint Kids 100% Cotton Animal Character Towels Just $8.99! Ships FREE! These 100% Cotton Animal Character Towels come in six great styles and are perfect for every child! Buy one or buy them all, because these bath towels will be a favorite with your kids. The towel is warm and comfortable whether you’re getting the baby out of the bath, or the pool, or even if in between a quick change of clothes!